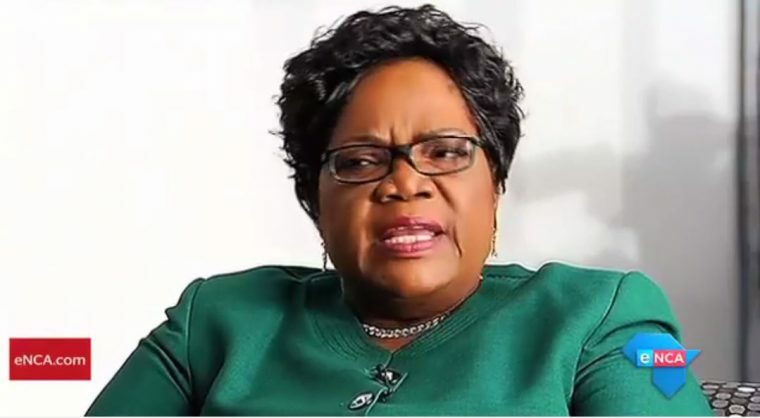 Zimbabwe People First leader Joice Mujuru, who for a decade was President Robert Mugabe’s number two, says Mugabe is the leader of the Zimbabwe African National Union-Patriotic Front faction known as G40. Up to now, G40 has been fronted by Saviour Kasukuwere, Jonathan Moyo, Patrick Zhuwao and Mike Bimha. Whispers say that they are fighting for the First Lady, Grace Mugabe, to take over from her husband and are doing everything to thwart Vice-President Emmerson Mnangagwa. This revelation came during an interview with eNCA, after she said Mugabe knew what happened to her husband who died in a mysterious fire in 2011. “With what has happened to me, the pronouncements that Mugabe has said himself, which were uncalled for, which were unsolicited, have given me a lot of thoughts that he can’t tell me that he was unaware or he is not aware of what happened to my husband because you can even witness his facial expression when he is talking about it. It’s only time. Time will tell,” she said. Mai Mujuru said Mugabe had sold himself out at a rally in Bindura when he told the crowd that Mujuru (Solomon) had come to tell him (Mugabe) to step down. She said this was despite the fact that Mugabe had set up a committee to look into the question of succession. Solomon Mujuru was part of that committee. Mai Mujuru said she was surprised that Mugabe would say what he said about her husband when he was the one who had set up the committee. If Mugabe was not interested in succession why did he set up the committee in the first place, she asked? Mai Mujuru said though she did not have anyone specific to blame for her husband death, it was very political because of what happened to her after her husband’s death. “The team that helped him to oust me, is now coming out in the open, telling the nation that even the G40 that is fighting Lacoste it’s him who is the head, and how can a Head of State be that, and at that late age you still want to fight with kids of below 35 years. it’s a shocker,” she said.